Simply wrap the wired arms of these characters around a porch post, deck railing or tree trunk to instantly add some seasonal charm to your dcor. 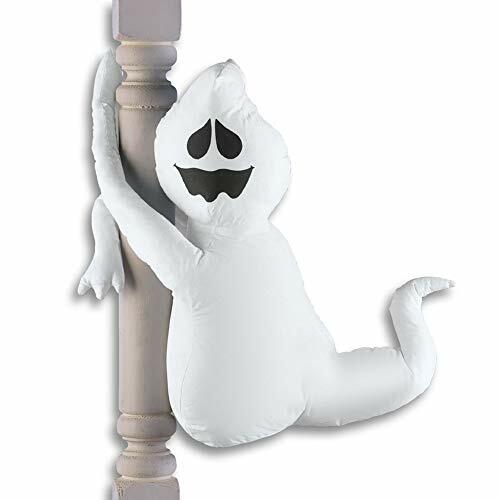 The plush ghost features a ghoulish smile, while the witch rides her broomstick. Spot clean. Polyester; imported. Witch: approx. 29"L x 6"W x 27"H. Ghost: approx. 27"L x 9 1/2"W x 18 1/2"H. Available either as a Ghost or a Witch. 24 Pink Flamingos and a "You've Been Flocked" Flamingo Yard Sign.